We've just released Android Studio 2.2 Preview 2 to the canary channel. Unfortunately the Espresso Test Recorder is still not in this build; we're addressing a few more issues and then hope to have it ready in the next build! Also, due to a bug, we're not able to offer patches from Preview 1 to Preview 2, so you'll need to download a complete install (and the complete install is a bit bigger in 2.2 than in the past since we now bundle a copy of OpenJDK to address a number of font rendering and other stability issues). However, the bug should be fixed in this build such that patching from Preview 2 to the next build will work. 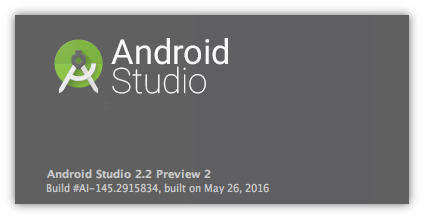 To download Android Studio 2.2 Preview 2, visit its download page. As always, thank you for helping us test Android Studio preview builds!